Publisher: Biblioteca Nueva, Editorial, S.L. 1930's Alberti was becoming active politically, founding a Communist newspaper, Octubre, in 1934. His poetry during the 1930s became more political than aesthetic, as for example in El poeta en la calle. After fighting on the side of the republic during the Spanish Civil War, he was forced to flee Spain. He went to Argentina where he worked in a publishing house and resumed his interest in painting and writing. There he published his autobiography, La Arboleda Perdida (The Lost Grove) in 1942. Alberti later moved to Italy. In 1977, Alberti returned to Spain. He died in Madrid at the age of 96. 020 Alberti, Leon Battista Life Dates:1404-1472 Leon Battista Alberti was born in Genoa, Italy, on February 18, 1404. His father was a major figure in the Florentine political world, and Alberti received a quality education. He studied Latin in Padua and completed his formal training at the University of Bologna, where he received a doctorate in canon law in 1428. In 1432, as a secretary in the Papal Chancery in Rome, Alberti became acquainted with Tommaso Parentucelli who was later elected Pope Nicholas V. Alberti worked for the Pope, studying law cases for seven years. In 1447, he became the Pope's architectural advisor, and upon studying the work of Vitruvius, wrote De Re Aerdificatoria (Ten Books on Architecture) in 1452. Alberti was a major Humanist figure in the Italian Renaissance. He wrote dialogues, plays, poems, and philosophical books that were widely influential. 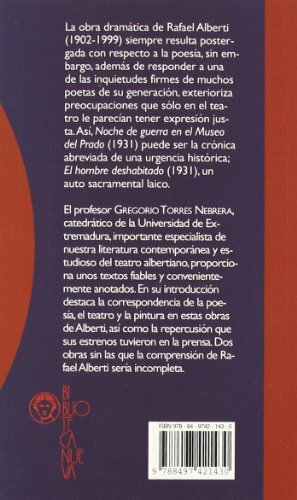 During the last years of his life, Alberti put many of his architectural ideas into practice and wrote De Iciarchia (On the Man of Excellence and Ruler of His Family). Albert died in 1472 at the age of 68.